This observational documentary will provide intimate, insider insight into the Black Liberation movement at a pivotal time in American history. The film will look at the reasons behind the growing anger and feelings of inequality and injustice amongst African Americans in post-Trump America. This has resulted in the formation of many new militant, black separatist groups and a huge increase in the numbers of ordinary, law-abiding people joining such groups. Over 2018/19, Janey hopes to spend 3-4 months living within the black community in Texas, documenting the stories of the people who are victims of social injustice and police brutality, and those who are taking a stand against this. Janey has been given unprecedented access to several black militant groups in Dallas and Houston in Texas. Through the eyes of its leaders and members, this film will explore what they want to achieve, and the many challenges they face in trying to make that happen. Here are a few of the people who have agreed to be featured in the film. 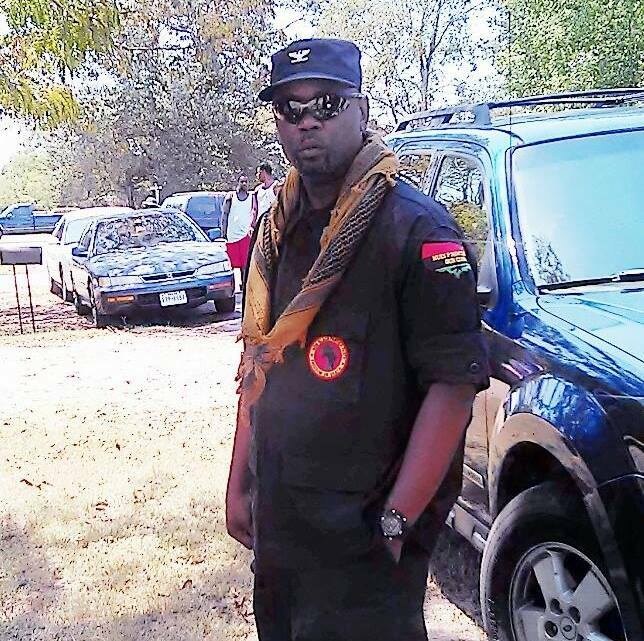 The National Chair of the People's New Black Panther Party, Yahcanon wants to inspire and educate a new generation of African Americans to recognise that they are living in a 'slave-based' political, social and economic system. He believes that Black people in the United States have been 'freed, but not liberated'. A self-confessed former 'hustler' Yahcanon is proud to have turned his life around to positivity and Black activism, through self-education and the studying of African history and culture. He believes that Black people in America are still oppressed by White dominated culture. In Yahcanon's ideal world, Black people would form their own separate state in the United States. Although he knows this is unlikely, he aims to get as close to this model as possible. 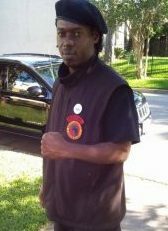 As well as being a defence organisation, the People’s New Black Panther Party are involved in doing good work in their communities, including organising food banks and training local people in emergency medical procedures to survive hurricanes and floods, following a number of natural disasters, like Hurricane Katrina in Louisiana and the devastating floods in Houston in 2017, in which poor black communities have disproportionately suffered. Babu is a barber in Dallas and ex-military. He spent 4 years in the US Infantry Support Unit between the ages of 18-22, before choosing to leave. Babu became disillusioned when he realised that the vast majority of people giving the orders were White. 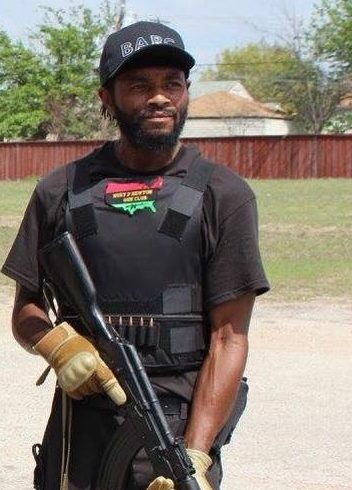 Babu, who is based in Dallas, is co-founder and Minister of Defence for the Huey P. Newton Gun Club, named after the original Black Panther Party founder. Disillusioned with White politicians, the group's mission is to persuade African American people of the necessity of self determination and for Black people to control their own destiny in every area of life - politics, economics, social services and policing. As Minister of Defence, Babu's main aim is to promote the legal arming of at least a million Black men in America. The group offers free training and Janey has been given unique access to film at their secret training camps. In Texas, it is legal for anyone without a criminal conviction to openly carry a weapon. Babu and his associates regularly carry out armed patrols of the streets, to help defend members of his community, particularly in areas where Black men have died at the hands of the police. The Huey P. Newton Gun club also provide an armed security presence at demonstrations and community events, to deter violent disruption by white supremacists. Eric set up Brothas Against Racist Cops (BARC) after being assaulted by police during a traffic stop in 2011 and in response the disproportionately large numbers of black men being shot by police with impunity. 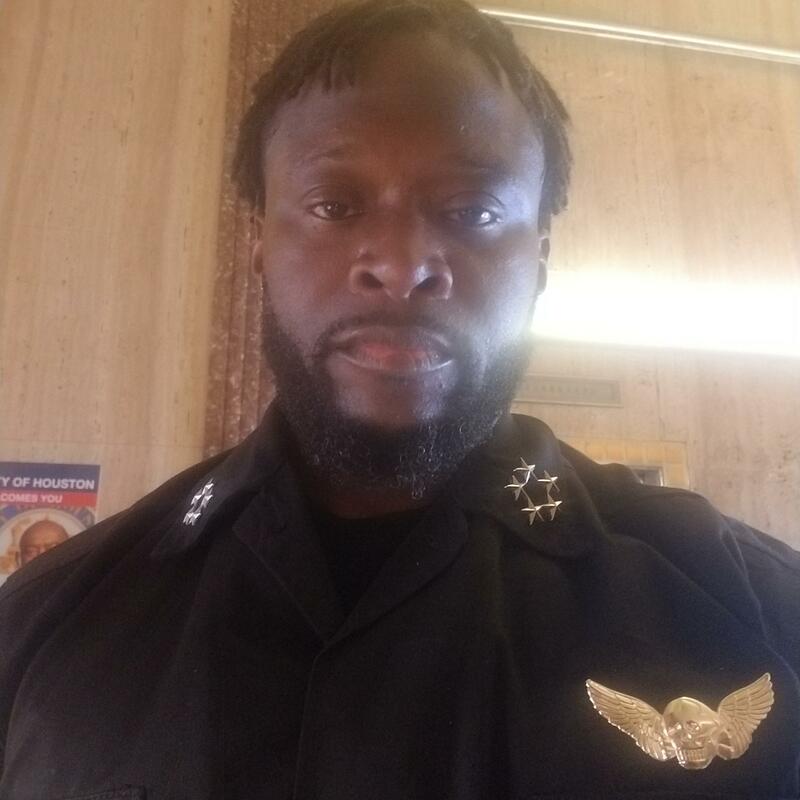 Eric is also the Commander of the Huey P Newton Gun Club in Dallas and a mentor for a community group called 'The Block', which helps disadvantaged black youths. Eric believes that it is important to help raise and educate a new generation of young black militants, including teaching them combat skills. Eric has taught his own children how to use firearms safely. Eric and his sons regularly take part in armed patrols in the streets of Dallas, because they have little faith in the Dallas Police to protect local people. Eric's greatest fear is that one of his children will be shot dead in a confrontation with the police. Eric is also deeply concerned about the FBI's leaked new classification of 'Black Identity Extremist' (BIE), which suggests that law enforcement agencies may be planning a crackdown on Black activists, for simply expressing a greater loyalty to the black community than the American flag, which some regard as a symbol of White oppression. Amun founded Anubis, an African-centered organisation in Houston, that is based on military principles and strategy. He describes Anubis as an 'army of the black nation' and an 'elite militant formation'. Amun spent 18 years as a US marine and saw active service in Iraq, Afghanistan, Rwanda and Indonesia. On his return from war, he spent 4 years as a Christian Minister in Houston. He became increasingly angry at the growing poverty and injustice that he witnessed Black people suffering in one of the richest countries in the world. A former member of the New Black Panthers (a separate organisation from the People's New Black Panthers), Amun decided to set up his own group, with the aim of supporting and defending Black people. Anubis aims to help ensure that all African Americans have sufficient food, shelter and clothing. Anubis was also set up to protect Black people from violence, using armed defence if necessary. A specialist in combat, Amun ensures that Anubis members meet the highest military standards - training them through gruelling exercises and drills which he claims makes them fitter and stronger than US marines. Anubis regularly carry out street patrols in Houston, and carry out charitable work, like feeding the many black homeless people in 'tent city'. Along with a growing number of black Americans, Amun has little regard for the American flag and what it stands for in 2018 - even though he previously put his life on the line for it.